Forget paying premiums for the Aston Martin V8 Vantage. This 755 mile 2006/56 example entered by Sytner had a couple of scuffed rims and a missing indicator repeater lens. But top bid was Just £66k, way short of trade book £74,950, and £17k shy of list price. 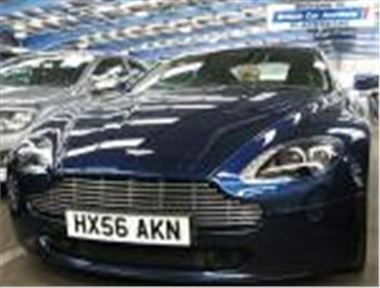 A 17k mile 2004/54 DB9 V12 sequential auto did slightly better, reaching £72,500 against trade book of £81,125. The other price precedent of the day was a top bid of £24,000 for a 6k mile 06 Citroen C6 2.7V6 HDI Exclusive, but the auctioneers had Citroen on the phone and they would not let it go for that. While a 26k mile 05 reg Mercedes CLS500 with 19” wheels and a repainted bonnet (which conveniently escapes higher rate VED) bid to a provisional £29,100. In complete contrast, an 83k mile 1968G Morris Minor 1000 Traveller, showing plenty of signs of its advanced age, sold for £1,100.